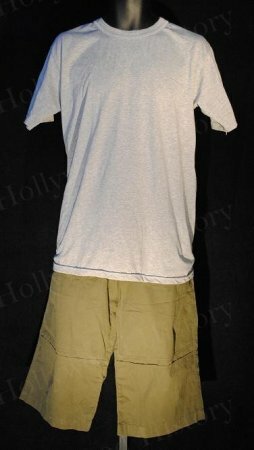 Briggs Costume  - $225.00 : Hollywood History Online, Discover the Magic and Bring Hollywood Home! A group of cave-divers and scientists explore a newly found cave system in Romania. However, rockfall blocks the exit and after delving further into the cave, the group discover a pack of deadly creatures are waiting for them. With their leader Jack having very strange side-effects and with their numbers dropping, the group must delve even further into the cave, battle the creatures and hope for an exit. This costume was worn by Briggs, played by Rick Ravanello. 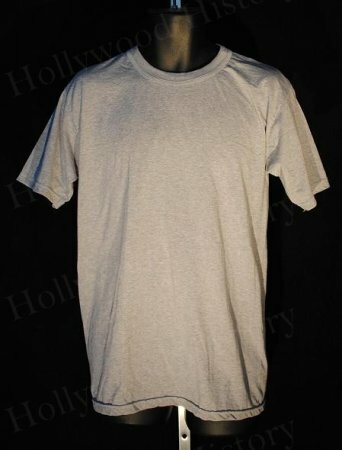 He can be seen wearing this grey t-shirt and khaki cargo shorts at the beginning of the film.